Hold on, This doesn't seem to add up! Correct me if I'm wrong, but surely the whole idea of the Northern power house initiative is to bring employment and investment to the North of England? To be fair, from my conversations with businesses, most have embraced the Northern powerhouse initiative and see further investment in the region essential for future growth in the UK. With costs in the South East spiralling upwards with no signs of slowing. The cost impact for employers and employees alike is immense. Not just from the additional cost within real estate but also transportation and to an even great extent time! I have spoken to many individuals over the years about new opportunities both at home and abroad. Recently however the London factor is playing a key roll in decisions. Candidates from outside the commuter belt refuse to entertain options in London due to the real estate options available within their budgets whilst candidates currently within the M25 refuse to relocate due to potential losses on their current assets. The work life balance is becoming a key factor in employees seeking change. Now organisations are using this to give them a competitive advantage to secure talent. The North already offers excellent transport networks within the major business centres and further planned developments will only strengthen the offering. Upgraded business districts and cultural centres teamed with high speed links to the capital will only be seen as a positive. 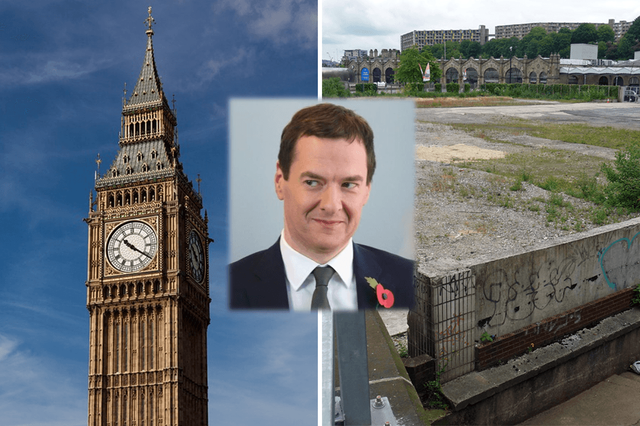 George Osborne’s flagship ‘Northern Powerhouse’ initiative is in trouble after it emerged that jobs in the department responsible for delivering the scheme are to be moved from Sheffield to London. The decision came after officials splashed out nearly £200,000 on cost-cutting consultants, from a London company. Interesting how often #NorthernPowerhouse was mentioned at #smartrail. Plans based on greater connectivity, rather than simply more tracks.